Home / Benefits / Obesity & Weight loss / The Blueberry Diet To Banish Belly Fat! 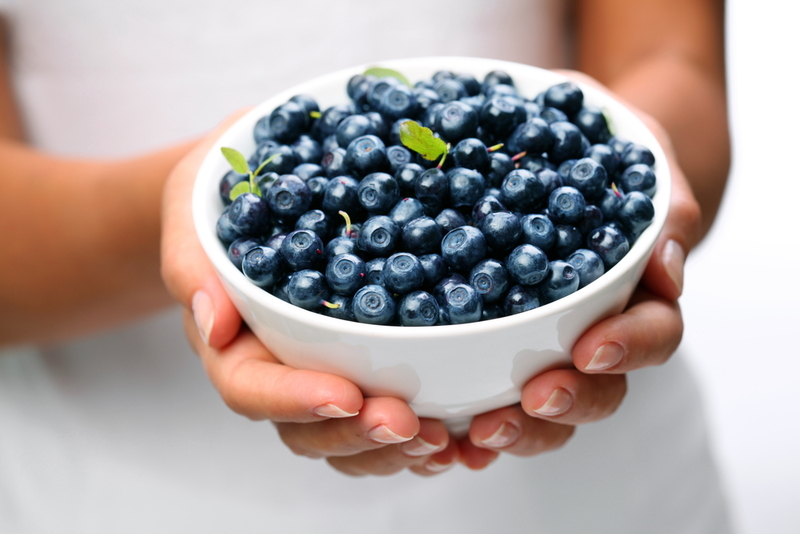 Blueberry antioxidants have been linked to the banishing of belly fat, heart disease, and diabetes. Not only do they change how glucose is stored and processed in the body, a diet rich in the antioxidant Anthocyanin has been shown to reduce the risk of heart disease and diabetes. In addition to the heart health benefits of blueberries, those fed the low-fat blueberry diet also lost body weight and fat mass compared to those on the high-fat diet, discovered in a University of Michigan lab: a diet rich in blueberries may help diminish belly fat. Although the study was performed on rats, researchers found that the beneficial decrease of belly fat occurred in both of high- and low-fat diets, which leads them to believe blueberries affect the way the body stores and breaks down sugar. While more research is needed on humans, these findings back up data from earlier studies on the benefits of blueberries on male populations at risk for heart disease. All good news since abdominal fat has been linked to both heart disease and diabetes, even in individuals with a normal BMI. A related study presented at the same conference showed that men with risk factors for heart disease who drank wild blueberry juice for three weeks seemed to experience slight improvements in glucose and insulin control. The Blueberry Diet is a fruit diet that helps you lose belly fat by taking advantage of the health benefits of eating blueberries such as the positive effect its Antioxidants such as anthocyanin have on your body, Vitamin C to keep your immune system strong, and Vitamin E for antiaging. Getting at least 2 cups of fruit a day is recommended for men and women between the ages 14 and 30. After 30, having only 1 and a half cups of fruit is recommended. Similar to the way other fruit diets work; you can begin your day off with a bowl of blueberries for breakfast. Then have another one for lunch. If you are up to it, you can have blueberries with dinner also. At bare minimum, having a cup of blueberries for breakfast and lunch help you clear the minimal requirement of the blueberry diet. Let the blueberry magic begin!